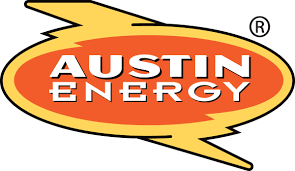 The intern will assist the Austin Energy Green Building group with incorporation of stakeholder feedback, writing, editing, and assembly of updated rating guidebooks and develop recommendations for incorporation of supporting graphics. In addition they will assist with the development of a template for educational/information sheets that act as a companion to the rating guides to give more information on when and why a measure is a good idea. All Interns will be paid: $20.00 per hour. Pursuing a degree with major coursework in English, Technical Communication, or other major with writing for science/technology. 1. Consults with subject matter experts to establish technical specifications and to determine subject material to be developed for publication. 2. Interviews personnel and read journals and other materials to become familiar with product technologies and production methods. 3. Observes production and developmental activities and other material to become familiar with product technologies and production methods. 4. Organizes material and completes writing assignments according to standards regarding order, clarity, conciseness, style and terminology. 5. Studies drawings, specifications, mockups, and product samples to integrate and delineate technology, operating procedure and production sequence. 6. Edits, standardizes, or makes changes to material prepared. 7. Selects photographs, drawings, sketches, diagrams and charts to illustrate written materials. 8. Arranges for typing, duplication and distribution of material. 9. Maintains records and files of work and revisions. Must possess required knowledge, skills, abilities, and experience and be able to explain and demonstrate, with or without reasonable accommodations, that the essential functions of the job can be performed. Knowledge of English grammar and punctuation. Knowledge of methods of literary research. of printing and production of technical materials. Skill in handling multiple tasks and prioritizing. Skill in using computers and related software applications. Skill in data analysis and problem solving. Skill in planning and organizing. Ability to proofread or edit technical materials. Ability to organize materials into formats suitable for printing. Ability to maintain good working relationships with other city employees and the public.